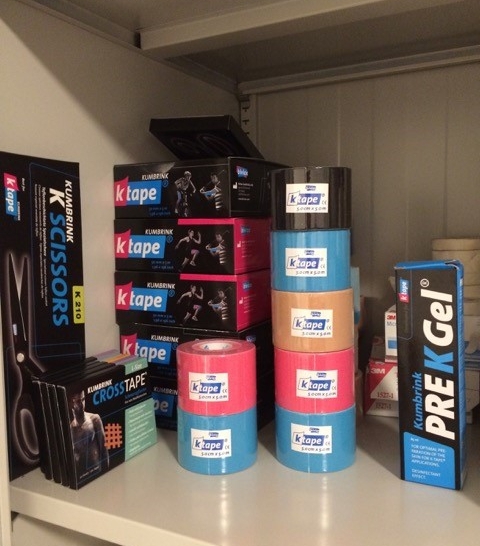 Lois Pohlod, Physiotherapeutin, K-Taping Instructorin der K-Taping Academy Canada und Leiterin der Physiotherapie des Kanadischen Olympia Teams hat Ihren Therapieschrank in Rio de Janeiro eingeräumt. Wir wünschen Lois und dem gesamten Team viel Erfolg und Spass in Rio de Janeiro. 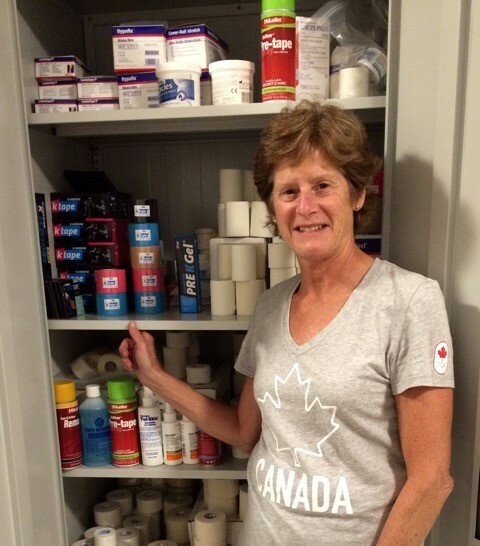 Lois Pohlod, physiotherapist, K-Taping instructor of the K-Taping Academy Canada and the Head of Physiotherapy of Canadian Olympic Team has set up her therapy closet in Rio de Janerio. We wish Lois and the whole team a lot of success and fun in Rio de Janeiro.